* Free delivery offer applies to standard delivery charges and does not affect next day delivery services, no minimum spend. Choose a Shimmer Stripes at the shopping bag when you spend over £30. 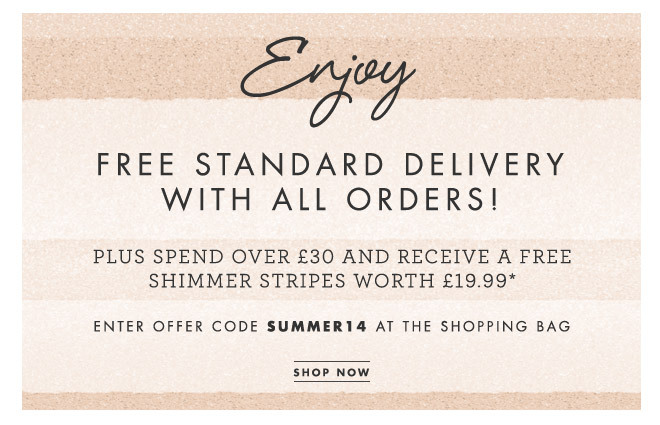 Free Delivery and Shimmer Stripes offer ends 11.59pm (GMT) Wednesday 23rd July 2014. Retail offers only valid at lilylolo.co.uk.